So you’ve spent the time researching your carpet options. You’ve probably poured over sites and read every Knox Carpets blog post forwards and backwards. You’re a phenom of carpet knowledge and nobody can tell you otherwise. You’ve undergone the install process. You’ve seen the transparent communication, experienced the friendliness and expertise of your Knox Carpets team. We have answered every question that you could possibly have. Honestly, you probably know more about flooring and carpeting options and install process that you need to know. You’ve hopefully had the best experience that you possibly could. In fact, you’re quite sad to see us go. (You’ve obviously followed up your experience with a positive testimonial, shared on our contact us page). You’ve gotten to enjoy your rug. A weird concept, but one that you think that more people should embrace. Why shouldn’t you get to enjoy your hard earned investment? You can actually distinguish the craftsmanship and the premium materials from shoddier models. You don’t see pill, you don’t see the carpet bubbling up from the floor to which it’s been installed. All you can see and feel is the soft and luxurious texture underneath your feet. Time goes on and life happens. Red wine is spilled. Mud is tracked all over said rug. There are grass stains and there are food stains and there are stains which you’re not even sure that you want to identify. But with each stain comes a magical memory with your family or loved ones. This carpet is a part of your home and it’s a part of your life. These stains don’t bother you because you know how to take care of your carpet. And it’s not just cleaning it, although that’s important as well. We’ll get to that. It’s treating it with respect. Despite its durability you’re not dragging heavy objects back and forth over it. And though spills happen, you’re being careful about not knocking plates of saucy pasta off the table and on to the floor. You know that the kiddos are welcome to romp and roll on the floor, but they’re careful to not bring the outdoors inside with them. 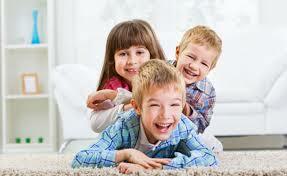 When you take care of your carpet, you’ve already alleviated the majority of the cleaning associated. This makes your Knox Carpet even more low maintenance, exactly what you need so that you can focus on enjoying all the activities that take place in your carpeted home. But you’re conscientious of a few quick and simple ways to keep your rug in the best shape it can be. You’ve definitely read up on the Knox Carpets blog the best ways to clean your rug. You have a steamer to keep it nice and fresh. You know that you can use pretty much any vacuum, and you’ve picked out your favorite. You’ve really set yourself up for success. Thus, a successful life cycle for a Knox Carpets product. And a life cycle that will surely go on for a long and successful duration.